If your asset data is not reliable, you need to convince the organization of the enormous potential that is locked away. To accomplish this, you need to understand the breadth of the problem and the value of solving it. A viable business case for action is needed-so let's get started! Physical asset data integrity is a critical aspect of every business, often the most valuable asset on the balance sheet, yet it is often overlooked. The data that we have about our assets collectively creates information, provides for accurate analysis and facilitates sound business decisions. Without accuracy of asset data there is a strong potential for poor decisions and their negative consequences. This book will not only provide an appreciation of this fact, it will also provide a road map to achieving value out of something most CEOs, managers, and workers often overlook. • Relies on the authors' decades of experience and hands-on expertise that cannot be obtained elsewhere. 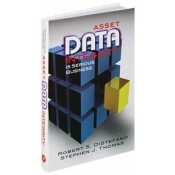 • Includes an assessment tool enabling the reader to easily recognize areas of improvement once a problem is detected. • Features a valuable practical "how to" information. • Focuses on the entire management spectrum, allowing everyone to see the value of data integrity within the context of their own responsibilities. Robert S. DiStefano, CMRP is Chairman and CEO of Management Resources Group, Inc. He is an accomplished executive manager with more than 30 years of professional engineering, maintenance, reliability, management, and consulting experience. Steve Thomas has 40 years of experience working in the petrochemical industry. He has published six books through Industrial Press, Inc., and Reliabilityweb.com, the most recent being Asset Data Integrity is Serious Business and Measuring Maintenance Workforce Productivity Made Simple. • Who Are The Stakeholders? • Taxonomy and Why Is It Important? • What Is an Asset? • What Is a Spare Part? • When Should We Start? 1 x Beginning AutoCAD 2016 Exercise Workbook Windows SALE!